[Gig Report] Jammin’ with my Kala UBass | 29 Playing a ‘jazzy’ country tune by Mr. Jerry Reed! – Play UBass! [Gig Report] Jammin’ with my Kala UBass | 29 Playing a ‘jazzy’ country tune by Mr. Jerry Reed! On Friday November 16 a new country duo: ”M&M’s Honky S***’ played their premiere gig! We played at a ‘one-night-only’ festival in Orebro, Sweden called ‘Kulturnatten 2012’. There were 100 bands playing 8 different venues. The shows was only about 15 minutes so I guess you could call it ‘showcase’-gigs. 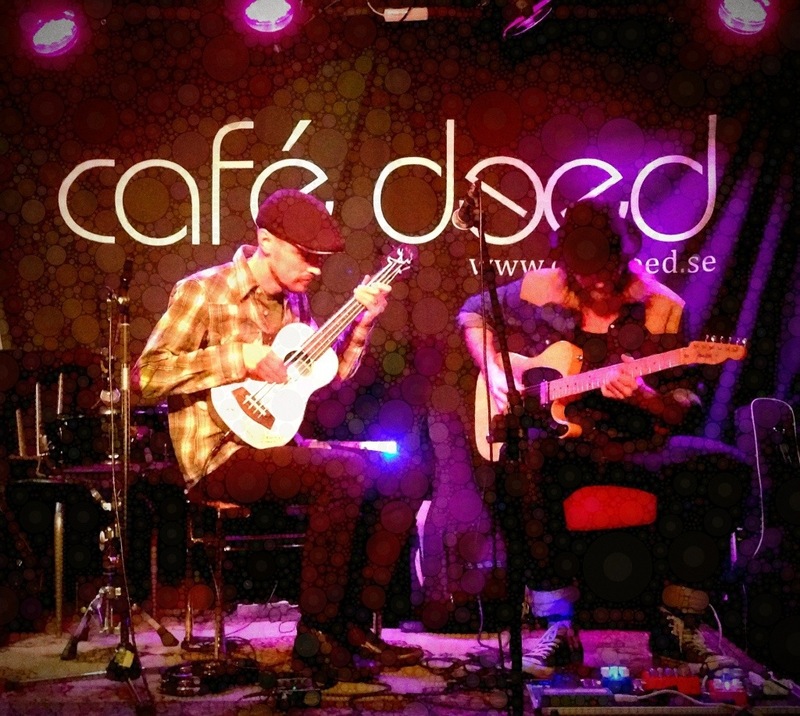 Anyway, we played a small and intimate coffee shop, Café Deed as the last band that evening. In the video featured here we had the pleasure of a special guest on snare drum, good friend Mats Nyström. Thanks Mats! We decided to do a tribute to the great guitarist/actorJerry Reed. Read more about him here. Marcus Måttgård that plays guitar in the duo is a big fan and now I am too! Please check out some of Marcus guitar playing on his YouTube Channel! If you are familiar with this blog I guess you’ve heard about the CD project I’m working on: ‘Speaking UBass!?’. I’m featuring different musicians and styles and play UBass on all of the tracks! (I might sneak in one or two other basses too…). This duo/trio will definitely be featured! Stay tuned for more info here. Thanks Greg! I really enjoy playing with these guys and I love the music too! Pingback: M&M’s Honky S*** First gig – pics and more video :) | Play UBass!